Its always great to see a new sketch over at Lets Scrap! 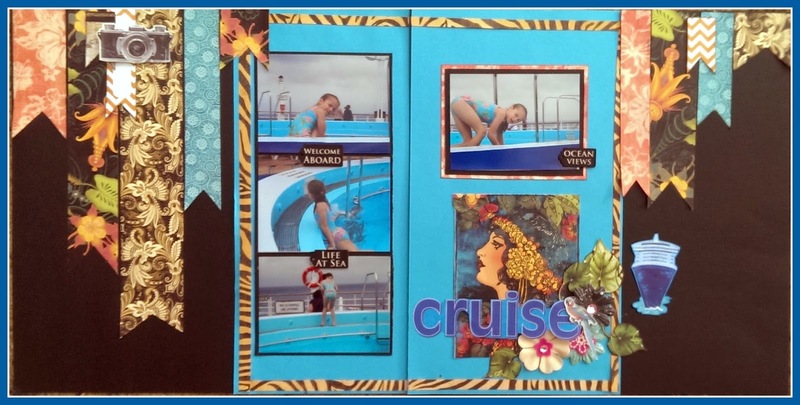 This one is a month long special for international scrapbooking day (March 4th - who knew???) and everyone is eligible to enter - including the DT, YAY! I posted the first page previously but stuck to the theme with this great sketch! Love the contrast of the colors, Renee! Great layout. Love the collectables. Thanks for joining in at Let's Scrap. Wonderful take on the challenge ! Love those G45 pp's, they are still waiting in my stash, lol. Thanks for playing with us at let's scrap ! What a great page with the Graphic 45 tropical papers. Made for great color strips. Thanks for creating with us for the Let's Scrap Special Challenge. Very cool, the animal print is great. 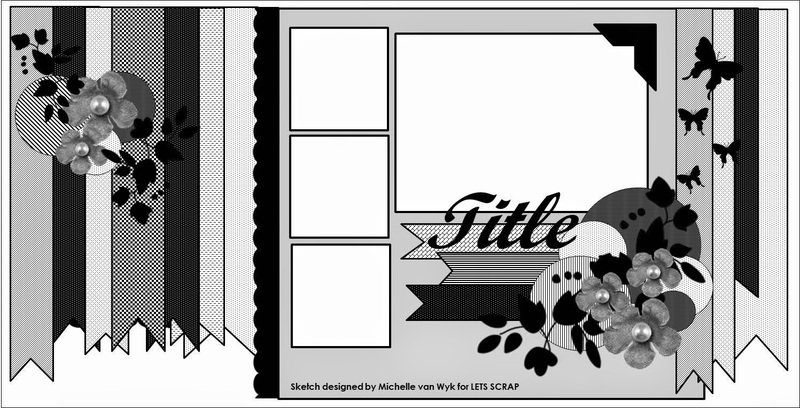 Thank you for sharing with us at Let's Scrap Sketches!